Now easier than ever, you can purchase NSC books, kits and other safety solutions through our enhanced shopping cart at shop.nsc.org. NEW! The National Safety Council – and its local Chapter network – have partnered with Summit Training Source® to bring you the best in engaging, interactive online workplace training. Now you can train your entire workforce anywhere with consistent, quality instruction from NSC. With over 100 course titles available, you have control over your training needs. Pay as you go, with no contracts – perfect for individuals or small groups – or call (800) 715-0358 for volume pricing. 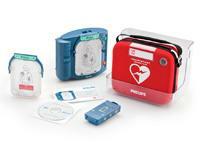 The first and only AED available without a prescription, the Onsite is designed to be the easiest to set up and use. 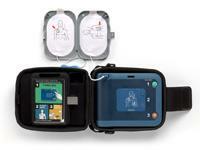 With clear, calm voice instructions, it guides the user through each step of defibrillation, including CPR coaching. 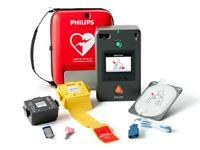 The HeartStart FRx is designed for easy use – rugged and reliable for those who get there first. Ideal for law enforcement, on the field with student athletes, or in the workplace, this defibrillator is the ideal option for treating sudden cardiac arrest in environments and conditions too demanding for many other defibrillators. The HeartStart FR3 for professional responders significantly reduces deployment time by eliminating steps and allows faster delivery of the right therapy (CPR or defibrillation) on the patient.